Mary of Magdala came to the tomb early in the morning, while it was still dark. yet that he had to rise from the dead. Speaking of visiting the cemetery where Jesus was buried, I have a fascination with cemeteries, especially the two in my own country parish of Saint Theresa where I will be buried, the two in Calvary, Kentucky, down around Lebanon, where I used to serve, the Sisters’ cemeteries at the Motherhouses at Nazareth, Springfield and Loretto, Kentucky, as well as the abbey cemetery at St. Meinrad in Indiana. With my new tombstone now in place, I find it even comforting to look down on the very spot where these bones will be buried someday! I am fascinated, not with death, but with those who have lived the Catholic faith and served the church, as I have done these last 75 years. Cemeteries do something for me – several things, in fact. (1) They remind me that life is short so I need to live well while I can. By looking death in the face, it reminds me that death is a fact of life, not only for those who have gone before me, but also for me. I feel that it is good to remind myself to live with the end in mind. (2) They remind me, as well, that I am part of a large family of faith, that stretches back for two thousand years around the world and over two hundreds of years here in Kentucky. (3) I am reminded of a line from the creed where we say that “we look forward to the resurrection of the dead and the life of the world to come.” We believe that life does not end with the grave, but rather that we continue to live - that we will rise again someday, just like Christ rose from his grave that first Easter. (4) Believing in the “communion of saints,' it reminds me to pray for those who have died and it reminds me that they are praying for me as well. The great Lutheran theologian, Dietrich Bonhoeffer, once said, “The pastor should visit the cemetery as often as he is able. This is wholesome for him personally, for his preaching, for his spiritual care and also for his theology.” Bonhoeffer was right. When I walk through these cemeteries and view the names on the gravestones, I experience a peaceful, reassuring calmness. I recommend this practice to any of you, especially when you are depressed or down about something. Looking death in the eye makes us realize how short and precious life is, makes us put our problems in perspective and restores our peace of mind so that we can get back to living while we can. It reminds us that we are not alone, that we belong to a huge family of faith and that we will be remembered after we die, even by people who have never met us. There are several things that stand out when we read about the disciples’ visit to the cemetery shortly after the tragic death of Jesus. First of all, it was a woman disciple who first brought the news about the empty tomb to the men disciples. Obviously, no one among them was expecting a resurrection. 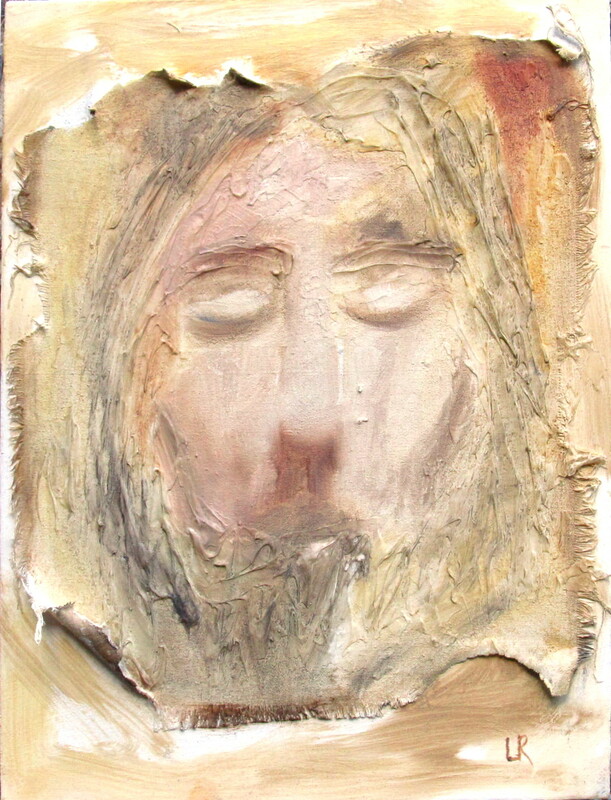 Even those who knew Jesus, saw him die and viewed his empty tomb, were slow in coming to faith. Seeing that the tomb was empty, Mary Magdalen immediately concluded that the body had been snatched. The youngest apostle, John, looked in but was too scared to go into the tomb. The impulsive Peter, wanting to get to the bottom of things, was the first to enter the tomb. John was the first to believe, and only gradually, over several days, did the others come to believe. With the Church, we believe in “the resurrection of the body.” Saint Thomas Aquinas, the great theologian, said that without the body, the human soul is incomplete. We need our bodies to be who we are, to have memories and relationships, to express our unique personalities. Our risen bodies will not be our limited bodies, but fully realized bodies, glorified bodies. Our risen bodies might exhibit some properties of our physical body, but without its limits. Like the risen Lord, who seemed to pass through doors but was also able to be recognized, our bodies will be our bodies, only in a glorified state. Frankly, I am still hoping to trade this old one in for an upgraded version!!!! If you are finding it hard to comprehend what I am trying to say, don't worry about it. It really cannot be described in normal language. Frankly, I don’t spend a whole lot of time trying to logically figure all this out. I am simply comforted by the words of Saint Paul, “Eye has not seen, nor ears heard, nor has it even dawned on human beings, the great things God has in store for those who love him.” I can live with that! I can still believe while I wait for an answer to all my questions! So on this Easter morning, let us not just remember the resurrection of Jesus as a historical event, but let us remember it with our own end in mind. Let us look forward to our own resurrections - whatever that reality may look like. All I know and believe, really, is that it is going to be wonderful. Let us, in the meantime, remain connected to Christ as we “wait in joyful hope” for that great and glorious day. The Lamentation of Christ (also known as the Lamentation over the Dead Christ, or the Dead Christ and other variants) is a painting of about 1480 by the Italian Renaissance artist Andrea Mantegna. While the dating of the piece is debated, it was completed between 1475 and 1501, probably in the early 1480s. It portrays the body of Christ supine on a marble slab. He is watched over by the Virgin Mary and Saint John and St. Mary Magdalene weeping for his death. take into you so that it becomes a piece of your inmost self. that spill down your chin and onto your chest. making you wince and recoil. but mysteriously satisfy and sustain. and the ones that devour in one great big gulp. You with your impetuous starts and youth-like bursts of love and devotion. You with your giving up too soon – or too late – and being tyrannically hard on yourself. You with your Yes, but’s and I’m sorry’s – again. Yes, you – but with my grace. Can I drink the cup? Pope Francis, prostrate on the floor of Saint Peter Basilica, at the beginning of the Good Friday Service. taken to the hospital before our Good Friday Service started. Not just my disciples, they are my friends. Southern Indiana, at the Ohio River's edge, as the plane approaches Louisville. Seeing downtown Louisville, and its bridges, on the way home is always a great sight! Louisville at night as seen from southern Indiana. Looking upriver toward downtown Louisville from the McAlpine Dam and Locks. That's I-64 on the right.